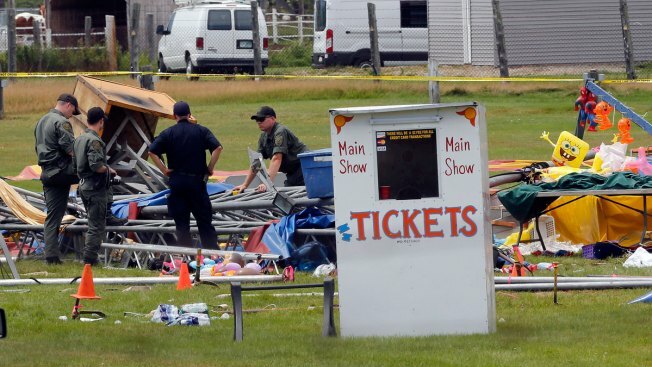 A Florida-based circus operator has agreed to pay $25,000 in fines to resolve criminal charges in New Hampshire following a tent collapse in 2015 that killed two people and injured dozens. The Caledonian-Record reports a prosecutor says the plea agreement resolves eight charges, including operating without a license, and ensures the state will receive money from a defendant who has limited funds. Sarasota-based Walker International Events initially faced more than $200,000 in fines. The agreement will need court approval. A March 8 hearing is scheduled. The company, now out of business, also settled some lawsuits and agreed to pay federal safety fines.